Launching from the beach was easy as Fanny Cove is shallow and sheltered and the sand at the water’s edge is hard. 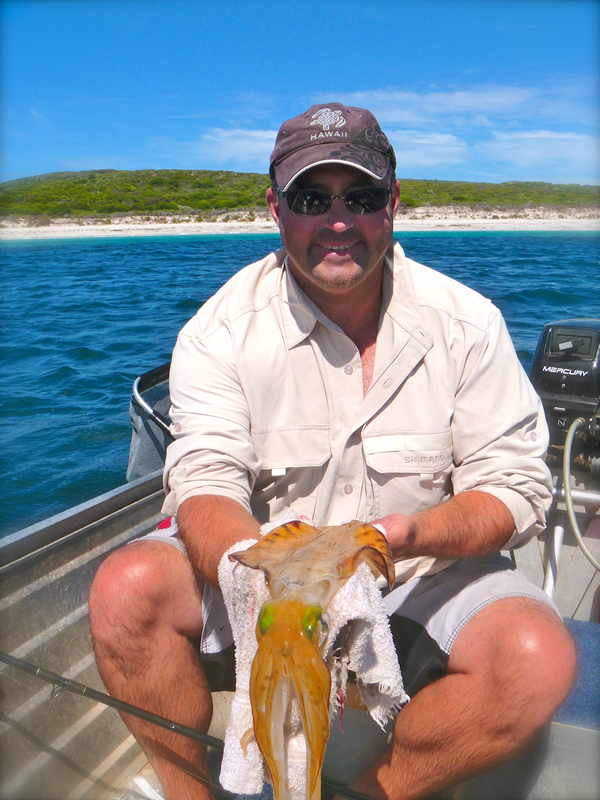 The squid were huge and everywhere – and great fun to catch. We discovered that the squid seem to travel in pairs. When we caught one, there always seemed to be another following it towards the boat. 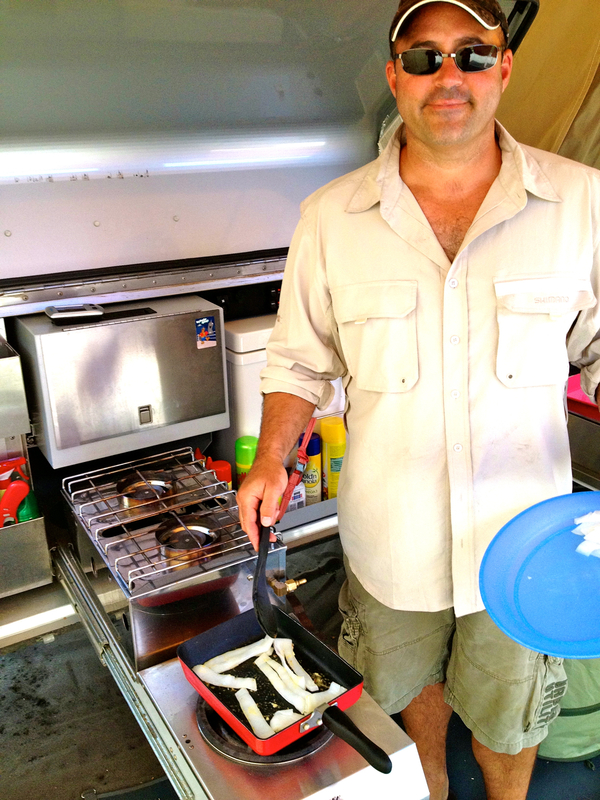 Nicknamed ‘the twin’ we soon learned to cast a second line in the exact same direction whenever we hooked up a squid. The Driver managed to bring one of the squid aboard a little too quickly and paid the ultimate price! Our new squid jigs worked a treat and were certainly worth the expense. 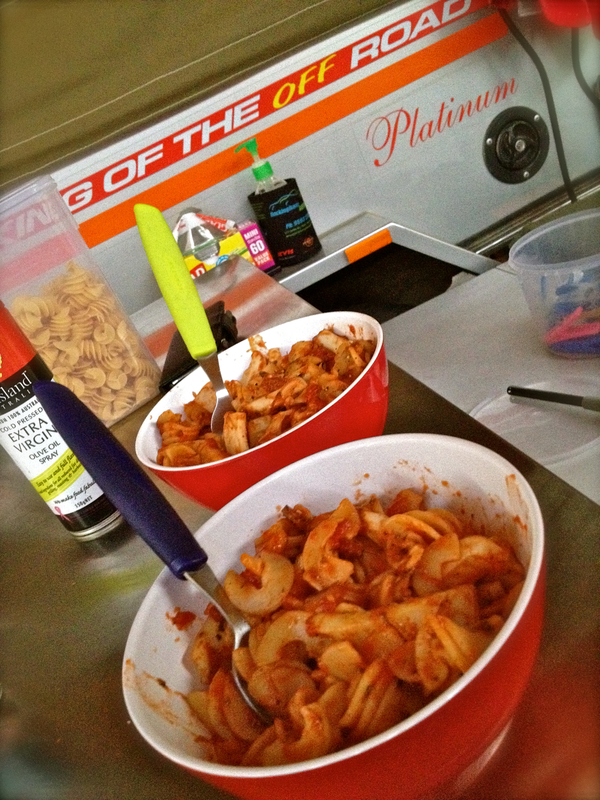 Pasta marinara featured on the menu one night and salt ‘n’ pepper squid on another. We supplemented these with a few herring but there wasn’t too much else to catch in the bay. Venturing out of the bay was out of the question due to the combination of wind and swell. 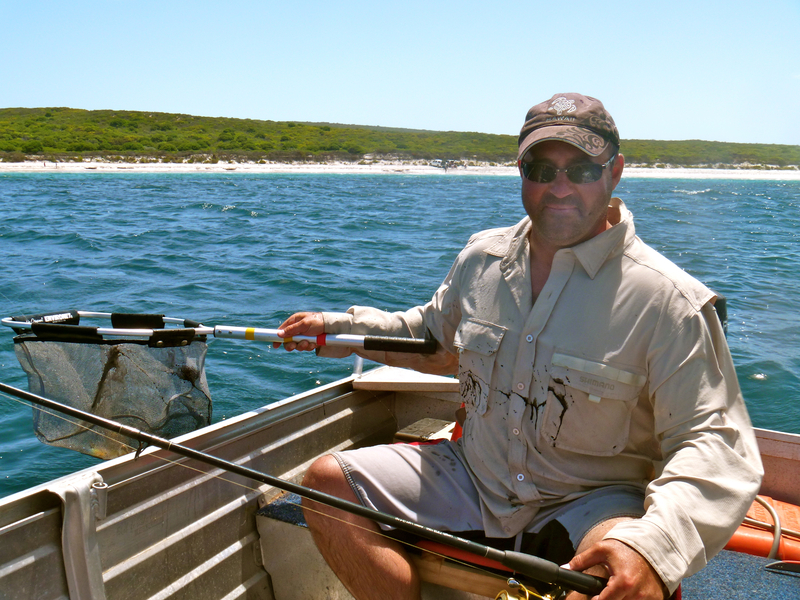 It was a shame as there was some big bombies and great drop-offs around the corner which promised some bigger fish. 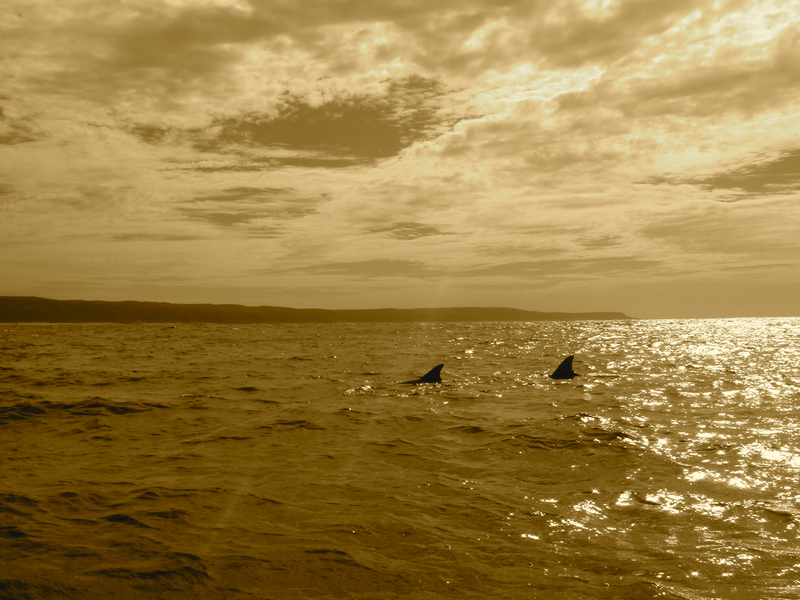 Dolphins accompanied us on one of our morning fishing trips. 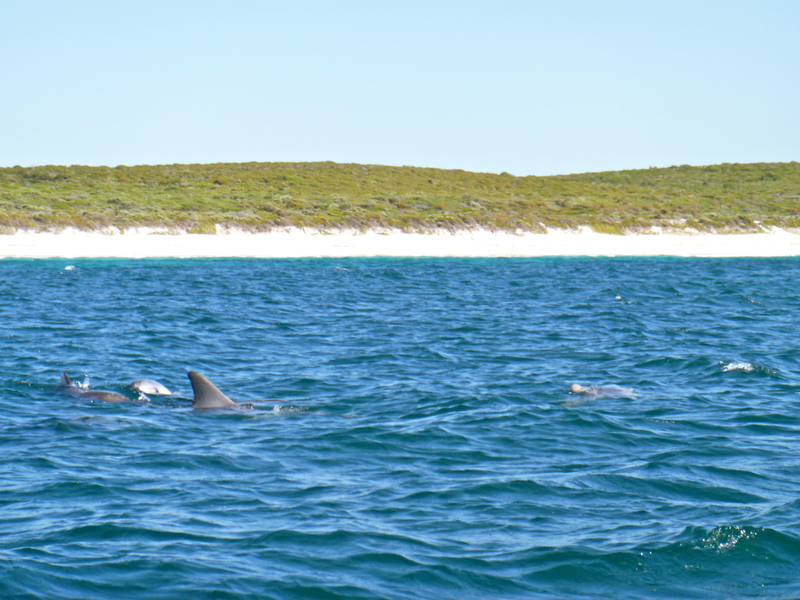 Two groups of four or five dolphins spent most of the day playing and frolicking in the bay. Our boat appeared to pass their numerous inspections and they loved riding the little bow wave as we did laps around the bay. On the same day, we had a visit from a solitary sea lion. He appeared so close to the beach and swam the length of the bay – up and back. All the kids on the beach loved it. They were like groupies running along the sand, squealing with delight, following him up and down the beach – it was so exciting for them and such a treat for us all. We saw him feeding on some fish and then he quietly exited stage right and off out behind the point. Fanny Cove is located around 75 km west of Esperance on the south coast of Western Australia.